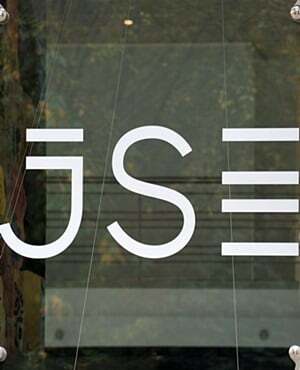 The JSE closed weaker on Thursday as it continued to be weighed down by most blue-chip stocks which traded weaker. Local equities struggled as the negative sentiment from Wednesday filtered onto Thursday’s session. In the US, Treasury bond yields and the US dollar surged following the release of the US Federal Open Market Committee meeting minutes which indicated a high probability of another Fed rate hike in December. Asian markets struggled as the major benchmarks closed weaker. On the JSE, Mediclinic [JSE:MEI] slumped even further as the stock fell 7.8% to close at R68.19 mainly on the back of the trading update released on Wednesday. Aspen [JSE:APN] also failed to find a reprieve as the stock lost another 3.18% to close at R153.61. Platinum miner, Lonmin [JSE:LON] recorded a significant fall as it lost 9.83% to end the day at R10.46. Rand hedge, Sappi [JSE:SAP] retreated to R78.11 after shedding 2.91%, while Remgro [JSE:REM] lost 1.63% to close at R184.95 per share. Index heavyweight Naspers [JSE:NPN] has not managed to turn the tide due to the current downtrend in the share price of its associate, Tencent Holdings. Naspers lost 1.17% to close at R2724.94. Steinhoff International [JSE:SNH] closed amongst the day’s top gainers after the announcement that a group of Dutch investors had agreed to hold off legal action against the company until April 1, 2019. As a result, the stock rallied 7.46% to end the day at R2.16. Retailer, Spar Group [JSE:SPP] rose to R176.89 after gaining 2.5%, and Pepkor Holdings [JSE:PPH] managed to record gains of 0.69% to close at R16.11. Bid Corporation [JSE:BID] firmed by 1.86% to end the day at R281.39, while banker, Capitec Holdings [JSE:CPI] rose to R987.45 after adding 1.26%. The blue-chip JSE Top-40 index closed 0.49% weaker, while the broader JSE All-Share index also lost 0.49%. The industrials index lost 0.81%, while the resources and financials indices lost 0.11% and 0.26% respectively. The rand was volatile as it swung between gains and losses against the US dollar. After peaking at a session high of R14.17 against the greenback, the rand erased those gains to trade at R14.31/$ at 17:00. Gold traded weaker briefly before it retraced to trade relatively flat on the day. The precious metal was up 0.2% to trade at $1224.71/Oz at 17:00. Platinum was 0.38% weaker at $829.41/Oz, and palladium was up 0.42% to trade at $1077.62/Oz. Brent crude remained weak as it had lost 0.8% to trade at $79.41/barrel just after the JSE close. At 17:00, Ethereum was down 1.76% to trade at $210.32/coin, whilst Bitcoin had 0.595 to trade at $6703.50/coin. Musa Makoni is a trading specialist at GT247.com.